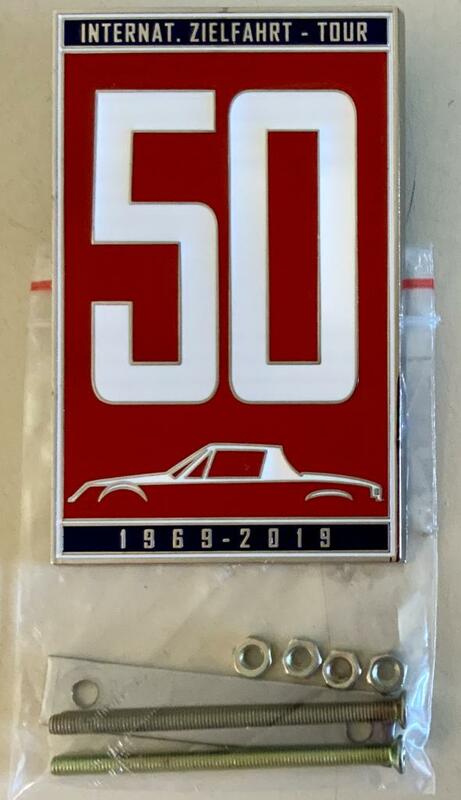 I have 20 of the “50 year 914 badge” at $62.00 each shipped with in the USA. I’ve sent PM’s to the first 13 members requesting badges in order of requests. If all of them respond and take them as requested that would be the 20 I now have. I'm in for one if you have an opening in your list. Question - how do they mount? Are there threaded lugs on the backside? I'm in for one if you have an opening in your list. I'll take 2 if they become available. I would like 1 if available, is there any chance you would limit 1 to each Member? David. Just received the 50 year badges I ordered. Very cool and definitely worth it. Thank you again for organizing this group. Very much appreciated. Looking for “Socalandy” any one that might be able to give him a yell. I don’t want to drop without a response but tomorrow morning, Tuesday I feel it’s only fair to take the next in line. I will also take one if one becomes available. I'm late to the thread but I'd love one! Gone, the end but if anyone would like to continue with this I’d be happy to give you the contact information. Thanks all. Received mine yesterday. Nice heavy weight and good quality. Thank you again for pulling this together! just received mine yesterday. can't wait to install it. Wes, Could you send me the contact information. David.